There will be times when your family would ask you to prepare a sweet and you have the energy only to prepare a sweet with very few easy steps. 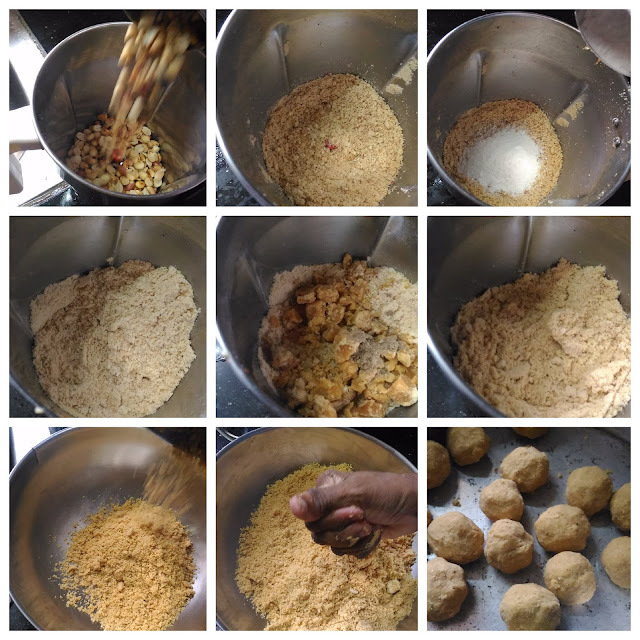 Well Groundnut Laddu is a recipe which can come handy exactly in those situations.. you don't even have to have ghee with you to prepare this. Still the Laddo will be very taste and will be liked by all including kids. 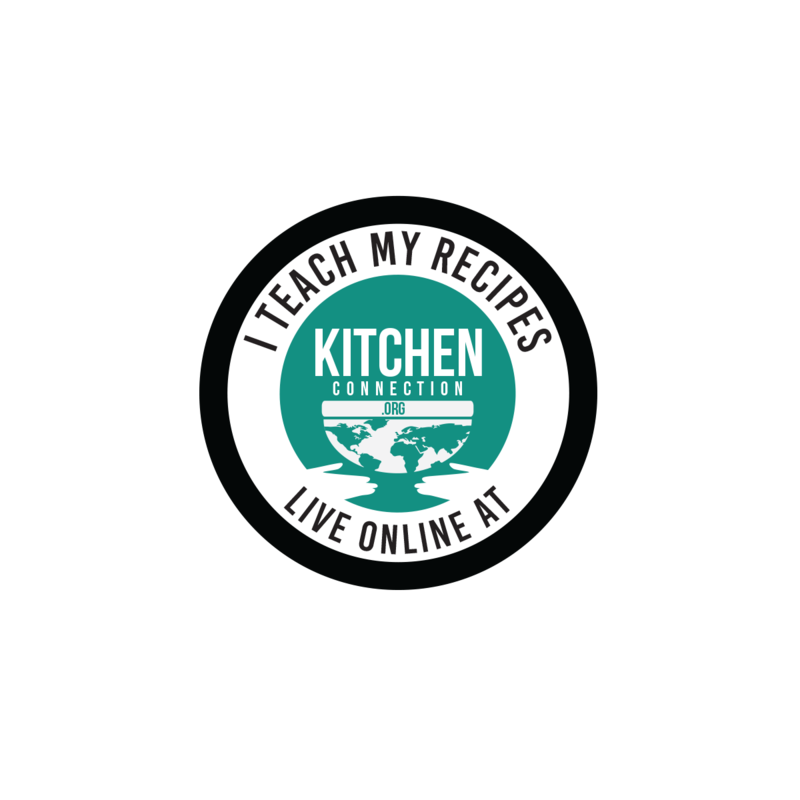 Try this and you will love it enough to make this many many times. 1. Powder the groundnut using the dry mixie jar. 2. Add the rice flour and cardamom powder. Again grind them into a find powder. 3. Now add the grated jaggery and grind them for few seconds. 4. Transfer the mixture into the wide bowl. Immediately make gooseberry size balls from the ground mixture. 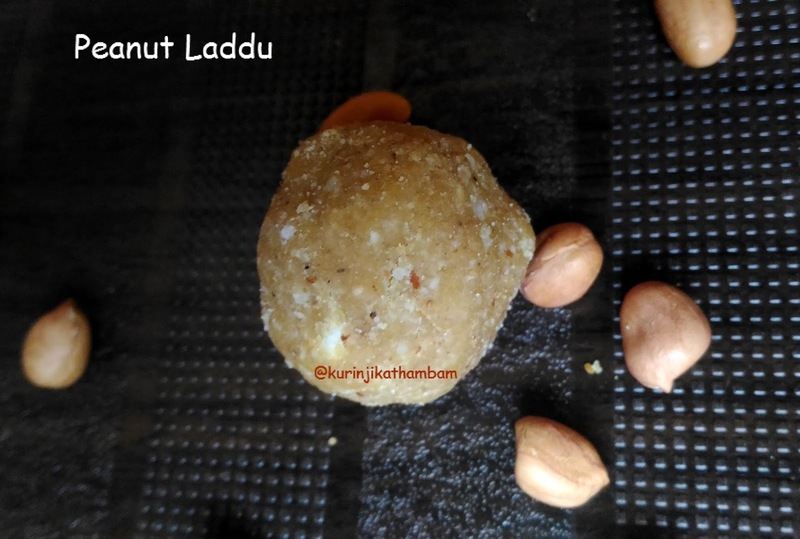 Tasty and easy peanut laddu is ready within 5 mins. 1. Adjust the jaggery level up to 1 cup according to your taste.